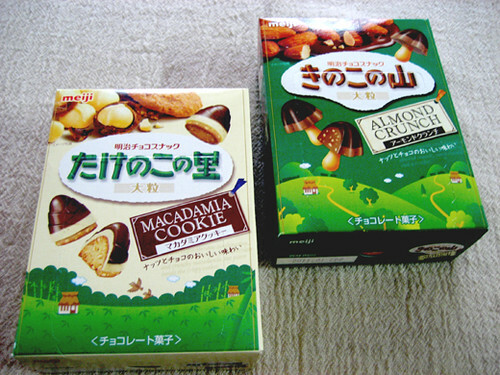 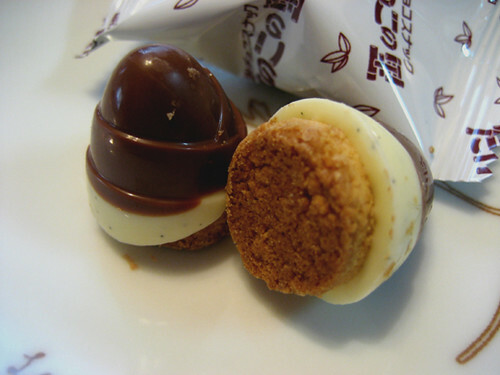 These are Kinokonoyama ALMOND CRUNCH & Takenokonosato MACADAMIA COOKIE Chocolate from Meiji. 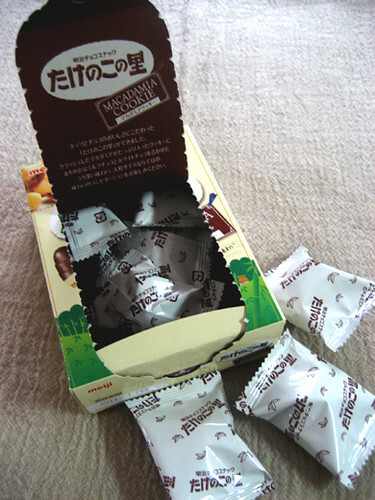 They are larger than regular Kinokonoyama & Takenokonosato Chocolate, and also fancier. 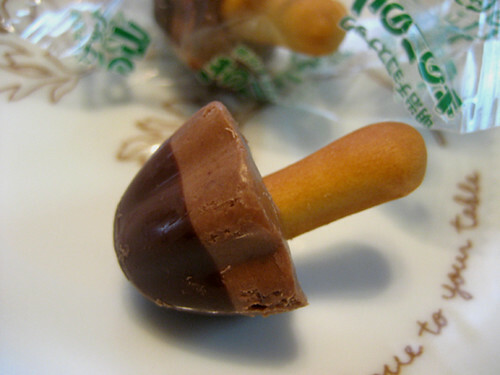 Everybody’s favorite mushroom and bamboo shoot shaped chocolate and biscuit snacks are crispy and great taste with a moderately chocolate aroma. 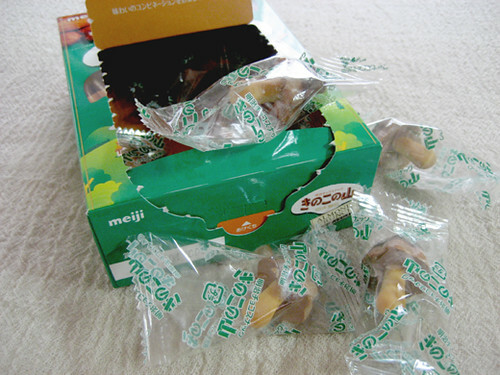 I had the mushroom cookies when I was in Korea, they’re pretty awesome.